what is the best travel insurance for Iran? have you ever asked yourself: What happens if I lost my pass during trip? If I got sick? If I lost money? Anyone travelling to any country in the world might be concerned about possible things that can happen to them in their destination. Travelling to Iran is no exception. This is where you can feel how useful responsible travel insurance services are. Therefore, before travelling to Iran or any other place in the world, you’d better ask for travel insurance. 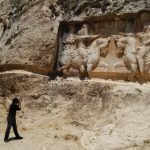 here in this article, provided by our Iran Tour and Travel Agency, You can read about this Iran Travel Service, which can be bought before you travel to Iran or choose an Iran Tour. 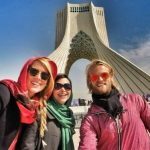 As travel insurance is a must to enter Iran, visitors should buy the travel insurance from a reliable company, otherwise they have to buy Iranian travel insurance at the airport. 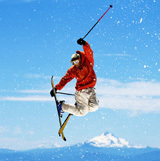 To do so, you can buy Iran travel insurance form international travel insurance companies, or from Iranian companies. First we provide you with information on Iranian insurance and at the end you can see some links to international travel insurance companies as well. So, Are you wondering what you should do for getting Iran travel insurance? Asking yourself: how can I buy a travel insurance for Iran trip? Thinking about which company provides the best insurance coverage Iran visitors? 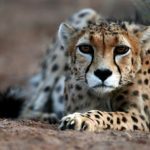 Read this article to the end and you’ll get all you need about Iran travel insurance. In case you have any other questions, you can contact us whether online or offline. What are Iranian Travel Insurance benefits? 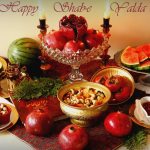 One of The best Iranian Tourist Insurance companies is Saman Insurance Company. This company provides Iran Incoming travellers with the most suitable travel insurance and best costs. Other insurance companies in Iran do not offer luggage loss coverage, but Saman Insurance Company does. That’s why this is the company we suggest to our guests. What does Saman Travel Insurance cover? 6. Paying the costs for insured children under 15 years old, returning with one protector to the home country, in case of death or hospitalization of the insured person. How much does it cost to buy Iran travel insurance? The cost of Saman travel insurance is based on the age of passengers and their duration of stay in Iran. 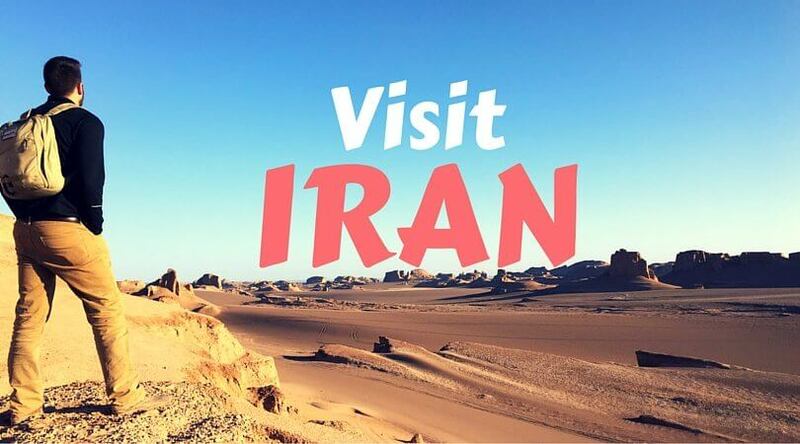 You can book Iran Travel Insurance through Iran Destination’s online agents and also you can fill the form below, we will call you as soon as possible. If you need more information, contact us as well. click on your interested country below and read more on the international travel insurance company based in that country. No Comments 2 day travel insurance, 2 month travel insurance, 2 year travel insurance, 2 year travel insurance policy, 24 7 travel insurance promotional code, 24/7 travel insurance reviews, 3 adults travel insurance, 3 day travel insurance, 3 month travel insurance, 3 night travel insurance, 3 year travel insurance, 6 month travel insurance cover, 6 week travel insurance, 7 corners travel insurance, 7 corners travel insurance reviews, 7 day travel insurance, 7 month travel insurance, 7 nights travel insurance, 8 day travel insurance, 8 month travel insurance, 9 month travel insurance, a holiday insurance, a travel insurance, a year's travel insurance, best travel insurance, best travel insurance for iran, business travel insurance iran, business travel insurance to iran, buy a travel insurance, buy a travel insurance online, compare travel insurance, family of 3 travel insurance, get a travel insurance, good to travel insurance, How much does it cost to buy Iran travel insurance?, i go travel insurance, i year travel insurance, international health insurance or travel insurance, iran tourism, iran travel agencies, iran travel agency, Iran travel agents, iran travel health insurance, iran travel insurance, Iran travel service, Iran travel tours, iran trip, iran visa travel insurance, Iranian travel agency, medical travel insurance iran, Persia, safe to travel insurance, Saman Insurance for Baggage loss, Saman Insurance Legal and judiciary guidance, Saman Medical and Health Insurance, should i get travel insurance, Small group tours to Iran, to buy travel insurance, to go travel insurance, to travel insurance, top 3 travel insurance companies, top 5 travel insurance, top 5 travel insurance companies, Tour of Iran, Tour packages Iran, Tours Iran, Tours of Iran, Tours to Iran, Travel agency in Iran, travel insurance 1 year, travel insurance 12 months, travel insurance 12 months cover, travel insurance 17 year old, travel insurance 18 year old, travel insurance 1st choice, travel insurance 2 months, travel insurance 2 years, travel insurance 2018, travel insurance 2019, travel insurance 24 months, travel insurance 3 days, travel insurance 30 weeks pregnant, travel insurance 32 weeks pregnant, travel insurance 33 weeks pregnant, travel insurance 34 weeks pregnant, travel insurance 365 days, travel insurance 4 medical, travel insurance 4 medical reviews, travel insurance 45 days, travel insurance 50, travel insurance 7 days, travel insurance 7 months pregnant, travel insurance 70+, travel insurance 71 year old, travel insurance 75 and over, travel insurance 75 years old, travel insurance 75+, travel insurance 76 year old, travel insurance 79 years old, travel insurance 80 years old, travel insurance 80+, travel insurance 81 year old, travel insurance 82 year old, travel insurance 83 year old, travel insurance 85 plus, travel insurance 85 years old, travel insurance 87 year old, travel insurance 88 years old, travel insurance 9 months, travel insurance 90 days, travel insurance 90 days over, travel insurance 90 days stable, travel insurance 90 year old, travel insurance 90 years age, travel insurance 91 year old, travel insurance 92 years old, travel insurance 93 year old, travel insurance a good deal, travel insurance a good idea, travel insurance a plan, travel insurance a security from risk when i am abroad, travel insurance a year, travel insurance company, travel insurance compare, travel insurance consultants, travel insurance cover iran, travel insurance death in the family, travel insurance death of family member, travel insurance death of parent, travel insurance direct review, travel insurance for iran, travel insurance for iran visa, travel insurance group, travel insurance in iran, travel insurance iran, travel insurance online, travel insurance or health insurance, travel insurance over 70, travel insurance over 75, travel insurance over 80, travel insurance per day, travel insurance questions, travel insurance reviews, travel insurance that covers iran, travel insurance to iran, travel insurance while abroad, travel insurance why, travel insurance year, travel insurance year long, travel insurance yes or no, Travel the unknown Iran, Travel to iran, Travelling center, trip to iran, Vacation in Iran, What are Iranian Travel Insurance benefits?, What does Saman Travel Insurance cover?, what is the best travel insurance for Iran?